BCDB Rating: "The Smurf Fire Brigade" has not yet received enough votes to be rated. This page has been viewed 8 times this month, and 481 times total. Cartoon Characters: Azrael, Brainy Smurf, Clumsy Smurf, Dame Barbara, Gargamel, Greedy Smurf, Grouchy Smurf, Handy Smurf, Harmony Smurf, Hefty Smurf, Jokey Smurf, Lazy Smurf, Mother Nature, Papa Smurf, Sleepy Smurf, Smurfette, Vanity Smurf. Vocal Talent: Don Messick (Azrael, Papa, Sleepy), William Callaway (Clumsy), Linda Gary (Dame Barbara), Michael Bell (Grouchy, Handy, Lazy), Hamilton Camp (Harmony, Greedy), June Foray (Jokey, Mother Nature), Lucille Bliss (Smurfette), Alan Oppenheimer (Vanity), Paul Kirby (Narrator), Jack Angel, Jered Barclay, Philip Clarke, Peter Cullen, Keene Curtis, Julie Dees, Walker Edmiston, Joanie Gerber, Danny Goldman, Bob Holt, Kip King, Allan Lurie, Larry Moss, Phil Proctor, Hal Smith, Russi Taylor, Janet Waldo, Peggy Webber, Lennie Weinrib, Frank Welker, Alan Young. Directed By Oscar Dufau, George Gordon, Carl Urbano, John Walker, Rudy Zamora. Assistant Directors: Bob Goe, Bill Hutten, Tony Love, Don Lusk, Ann Tucker. Executive Producers: William Hanna, Joseph Barbera. Animated By Robert Alvarez, Frank Andrina, Tom Barnes, Bob Bemiller, Lefty Callahan, Rudy Cataldi, Daniel De La Vega, Joan Drake, Jim Duffy, David Feiss, Hugh Fraser, Jeff Hall, Bill Hutten, Ken Kessel, Bob Kirk, Rick Leon, Hicks Lokey, Ernesto Lopez, Ed Love, Tony Love, Ken Muse, Ron Myrick, Margaret Nichols, Kevin Petrilak, Virgil Ross, Bob Shellhorn, Ken Southworth, Tim Walker, Alan Wilzbach. Animation Supervisors: Jay Sarbry, Jaime Diaz, Don Patterson, Roger Chiasson, Sean Newton, Don Spencer. Assistant Animation Supervisor: Joanna Romersa. Written By Creighton Barnes, John Bates, John Bonaccorsi, Doug Booth, Alan Burnett, Patsy Cameron, Claire Geber, William Halsley, Catherine Johnson, Richard Kandrey, Ted Pederson, Michael Reaves (as J. Michael Reaves), Jeff Segal, David Villaire, Marc Scott Zicree. Supervising Story Editor: Gerard Baldwin. Story Editors: Patsy Cameron, Tedd Anasti. Stories Supervised And Based Upon Concepts By: Peyo, Yvan Delporte. Supervising Film Editor: Larry C. Cowan. Story Direction: Ron Campbell, George Cannata, Bob Curtis, Larry Latham. Animation Casting Director: Ginny McSwain. Title: Gerard Baldwin, Bob Hatcock. Graphics: Iraj Paran, Tom Wogatzke. Character Design: Davis Doi, Chis Otsuki. Key Layout: Terry Lee Keil. Layout: Margaret Parkes, Jaime Diaz, Nancy Avery, Christopher Boyer, Tom Coppola, Andrew Gentle, Carol Holman, Mark Hubley, Terry Hudson, Raymond Jacobs, Karenia Kaminski, M. Mike Kawaguchi, Ken Landau, D.T. Lavercombe, Michael Maliani, Greg Martin, Alex McCrae, Jim Mueller, Phil Normand, David O'Day, Michael O'Mara, John Perry, Jean Perry, Shan Price, Rick Rouse, Linda Rowley, Dean Thompson, James Wahlberg, Roy Wilson. Backgrounds: Lorraine Andrina, Fernando Arce, Robert Gentle, Martin Forte, Jonathon Goley, Bonnie Goodknight, Phil Lewis, Andrew Phillipson, Bill Proctor, Ron Roesch, Gloria Wood. Checking And Scene Planning: Paul B. Strickland. Ink And Paint Supervisor: Alison Victory. Sound Direction: Alvy Dorman, Phil Flad. Camera: Steve Altman, Curtis Hall, Bob Marples, Ralph Migliori, Joe Ponticelle, Roy H. Wade, Jerry Whittington. Music Editors: Cecil Broughton, Daniels McLean, Joe Sandusky. Effects Editors: Michael Bradley, David Cowan, Catherine MacKenzie, Kerry Williams, Jerry Winicki. Negative Consultant: William E. DeBoer. Post Production Supervisor: Joed Eaton. Executives In Charge Of Production: Jayne Barbera, Margaret Loesch. 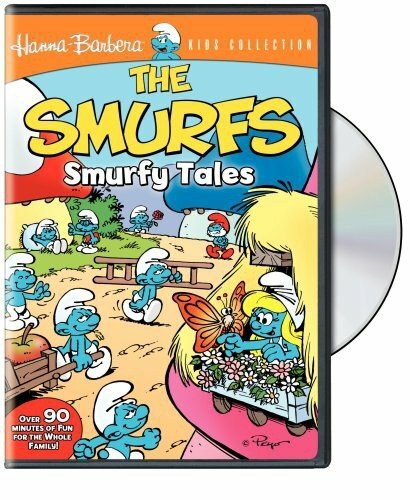 Copyright © 1983 Hanna-Barbera Productions, Inc. And Sepp International, S.A.
Smurfs Is A Registered Trademark Of Sepp International, S.A.
Do you have anything to add to this page? Have we made any mistakes... or do you have any additional information about The Smurf Fire Brigade? If so, we would love to hear from you. Please send us a quick note with your additions or corrections to this page, and we will make the corrections as soon as possible! The surfs form a fire department and try to figure out the best way to put out dangerous fires. Do you love The Smurf Fire Brigade, or do you think it is the worst cartoon ever? Let us know what you think! Surely you have an opinion... so share what you think. Take a minute and post your own comments about this cartoon here. The Smurf Fire Brigade by Big Cartoon DataBase is licensed under a Creative Commons Attribution-NonCommercial-ShareAlike 4.0 International License.